There has been an exciting update. The winning tree was taken to the civic centre and was judged in a city wide competition. 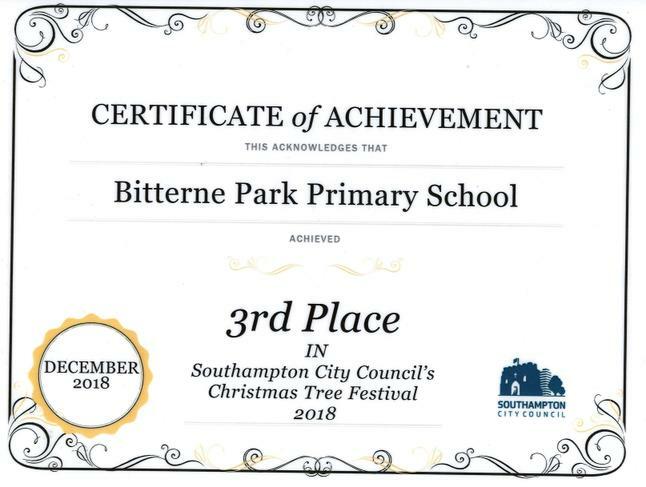 We are proud to say that it got 3rd place. Congratulations to KS1 phase for winning the Christmas tree competition. Their recycled scrap paper fan tree was both colourful and eye catching! 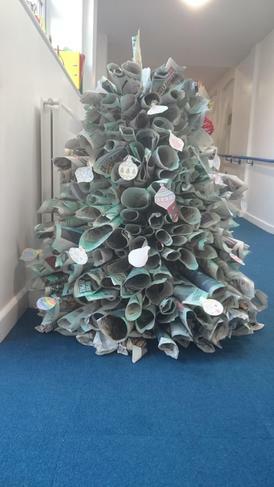 A close runner up was LKS2 phase for their recycled newspaper cone tree. Really creative design but just pipped to the post. 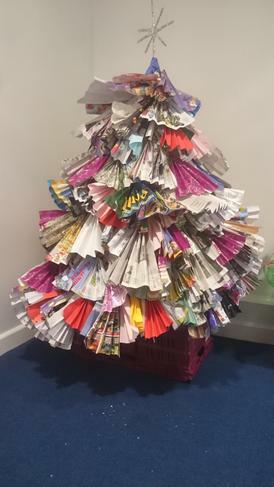 It has been lovely to see just how creative we can be with recycling! !